These wetsuit gloves are quality full finger gloves that provide extra warmth in the water and offer protection, comfort and grip for use in a range of water sports. Gloves are available in the following sizes: XS, S, M, L and XL. Choose your required size from the chart below. These Osprey wetsuit gloves are manufactured to a high standard. 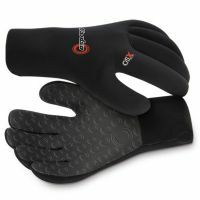 They are super warm 3mm neoprene wetsuit gloves made from super stretchy material making them easy to put on.